Traditionally, engagement has been the ultimate indication of success in content marketing. Evaluating performance using engagement also usually doesn’t entail incredibly complex metrics: just how often content is shared, comments, likes, and other signs of life in a manner of speaking. Then it becomes a matter of analyzing which platforms have the most attribution as far as leads and conversions are concerned. But as users’ expectations for content continues to evolve, so do the ways that content performance gets analyzed. Engagement is still important to track but interactions merit closer examination in an age where there’s so much content out there and attention spans are shorter than ever. Here’s what ultimately sets engagement apart from interactions. Engagement can be quantified by clicks, comments, and shares. Relative to other performance metrics and optimization efforts, engagement metrics are fairly simple but they can be made more complex especially as attribution across multiple platforms gets factored in. Activity like comments can be considered an interaction because people are doing more than simply viewing it. Depending on how deeply attribution extends, performance metrics could account for comments to conversions opposed to clicks vs. impressions or how often engagement activity led to some other desired activity like signing up for an email list. Because brands have been looking to get more reciprocation as conversational marketing takes hold, striving for a more authentic tone has become a top priority to increase engagement. Some brands are also shying away from extending their reach with influencers and instead focusing on internal teams giving them more credibility with the public that is also likely to generate more clicks and shares out of trust. However, just because someone interacts with the post doesn’t necessarily mean that they’re interacting with the brand. Interactions entail the user going beyond conversation and engaging with the content, and actually interacting with your brand such as signing up for a trial, asking to speak to a sales representative, or making a purchase and getting support for that purchase. 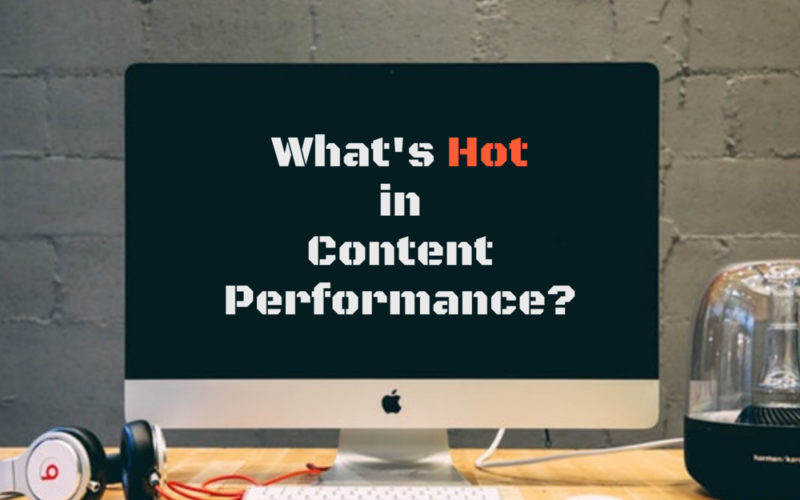 Altimeter conducted a content performance survey and found that while engagement still ranks as the highest indicator of how well content performs, there’s an even split among efficiency and conversions. “Efficiency” denotes that a purchase was already made while conversions mean that a purchase or other desired action was taken. These interactions are seen as a stronger indication that content was successful because they are strictly financially-focused metrics. This is why customer journey mapping is important: the journey doesn’t end at the purchase, and having the right content that solves common problems customers have with your products or otherwise answers burning questions about usage will make your organization more efficient. Some problems need a human touch to solve them but your staff will be burdened less if there’s plenty of helpful content that provides the answers your existing customers need. This frees them up to solve more complex problems. Conversions are ultimately what most marketers see out of content and it’s crucial to see why some pieces resulted in more conversions than others. Is the tone of the piece what drove so many conversions, or did it specifically target a stage of the customer journey where people were more likely to convert? Was it the execution or visual makeup more than the words? Having high engagement on content doesn’t necessarily mean that it will lead to large amounts of conversions. A video can be captivating and entertaining but not ultimately make someone want to visit your website and buy something whereas that blog post that’s less visually appealing yet answers questions about a niche topic that’s hard to find information on could be quietly driving sales. While engagement is still important to track, more marketers are paying attention to content that improves efficiency or simply seeing what gets more conversions as 2019 marches on. What makes this type of content performance challenging is that even with better tools for attribution and monitoring actions individual leads take over their lifetimes, content is a slow-acting method. It can easily be a whole year that leads were considering your product prior to converting or needing customer support. Resources need to be allocated to both immediate and long-term needs.